SHE is buried at the Drayton Cemetery but she has never been at rest while her killer remains at large. The visual reminder - the home in which her bloodied and partly naked body was found, covered by a doona and lying face up in the sun-room the afternoon of Sunday, November 19, 1989 - was removed 11 years after her death. 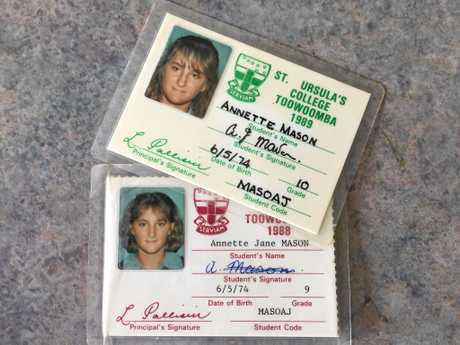 Now, 27 years after she was bludgeoned to death with a 75mm x 75mm piece of timber found downstairs of the home she shared with friends, Annette Jane Mason will be some way closer to getting justice. Her family still grieves the brutal loss of the smiling 15-year-old checkout operator, who had just taken her first steps into adulthood, and is now looking to next year when the cold case will be re-examined. Attorney-General Yvette D'Ath this week ordered the inquest into the teenager's death to be re-opened after new evidence came to light. The Chronicle, just as it has done since the teen's body was found, will be there as her family edges closer to closure, and justice. ANDREW Mason is looking to the re-opened inquest as a final chance to see justice done for his daughter. As a father, he never had the chance to walk her down the aisle, celebrate more than the 15 birthdays she had marked, or meet any grandchildren she would have given him. Just as she was robbed of her life, Mr Mason has been robbed of justice and closure. "There's some sort of hope now of getting some sort of closure," he said. "But 26 years - nothing will compensate for that. "I'm just hoping the ones responsible will be found and will be tried." Like the entire Mason family, he has ridden the highs and lows of the case, and he has never adjusted to the headlines proclaiming investigators were closing in on his daughter's killer. "It's not easy to see they're closing in and then next thing, have nothing at all," he said. "That's very hard to live with and it has hurt the whole family." But that has changed this week, and Mr Mason now has a renewed sense of hope. He's hopeful of "something positive happening this time". "This is something my daughter (Linda) has been trying very hard to get re-opened," he said. "Police didn't seem to get getting anywhere so we had marches for her, pushed the issue for her. "There has been some new evidence come to light through different sources which has been passed on to police and Attorney-General who have taken that on board. "It's hard for us to say too much at the moment." BRIAN Tighe retired in 2000 with visions of Annette's brutalised body still on his mind. 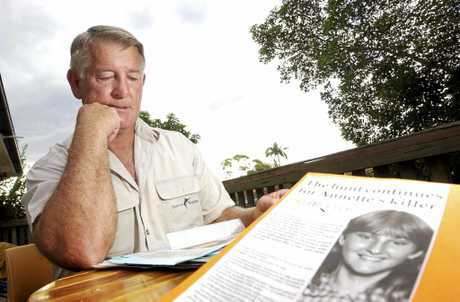 Eleven years after the teen was murdered, he handed in his badge and entered retirement but he never forgot the young girl and the murder scene at 131 Anzac Ave.
Now, after 16 years, he has welcomed the Attorney-General's decision and will return to a Toowoomba courtroom next year. "Just because you're retired doesn't mean you stop caring," the former detective said. "I still care about this kid. I've still got visions of what she looked like. "I want to see this go ahead and I'm very pleased with the decision." He credits the decision on Annette's sister Linda, and spoke with a sense of awe about the woman's determination to see justice done and get her family closure. "With this particular case I think it's more or less a re-assessment of any information that has come in and going through the social media of Linda Mason," he said. "That is a very important issue. She's managed to gain the confidence of people on a person-to-person basis and I think it establishes the more traditional ways of giving information, people are a bit wary of it." Annette's sister Linda began her social media crusade in 2015 when pressure was ramped up for the State Government to re-open the inquest. Mr Tighe believes the killer is still alive and possibly still in the Toowoomba or Darling Downs area. Likewise, he believes there are people who have lived with a guilty conscience for 27 years, holding vital information that for whatever reason has never been passed on to investigators, including himself. 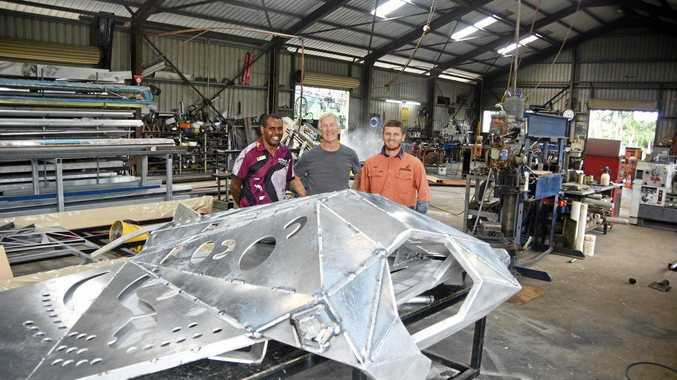 "It was never a case where there was a lot of scientific evidence which was going to help us," he said. "I think it comes down to a person's conscience. "The only way a suspect is liable to take reprisals or actions is if the information they pass on is lies. "No-one likes lies being told about that but if they have the information, pass it on, get in the witness box and back it up." VETERAN reporter Peter Hardwick believes the killer is still alive and wants to see them before a jury of his, or her, peers. The investigation has never been shut but was shelved for years due to lack of evidence and what proved to be unreliable witness testimony in some cases. "They had suspects but just didn't think they had enough to go to trial simply because at the time they didn't have investigative tools that they do now. "With modern techniques and re-examining things, I'm hoping the inquiry puts some people before a jury." Mr Hardwick's intensive reporting led to close ties with Annette's family and when the news broke the inquest will be re-opened, one of his first conversations was with her sister Linda. It's far from a headline Mr Hardwick wants, but rather justice and closure for the family and Annette herself. "You've got to feel for the family, and feel for Annette," he said. "It deserves to be solved for her. This poor kid, she was just in the wrong place at the wrong time. "Like all these stories, you always get a little involved because you want to see it solved, and you want to see someone accountable for it." Mr Hardwick wrote in The Chronicle on January 23, 2007: "It is believed the prime suspect is a man serving a life sentence for another murder but, to date, no charges have ever been laid in the case relating to Annette Mason's murder. 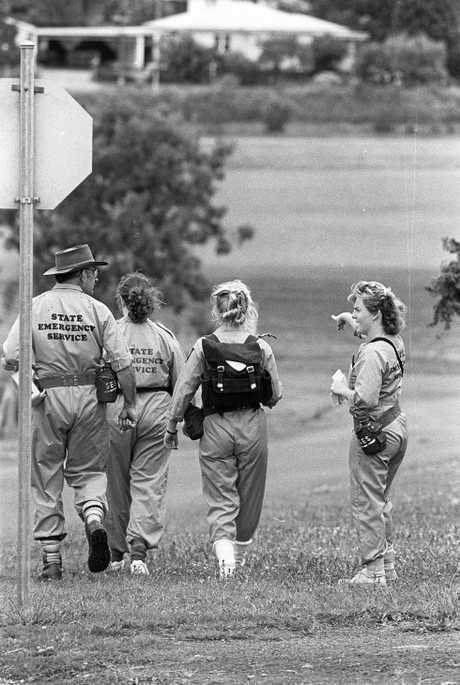 Memories fade but it is hoped more than two decades of living with information about Annette's final moments will compel anyone with information to contact the authorities. "It's a case that has always been solvable, and certainly is now," he said. "I'm just really pleased this inquiry is going, and I hope it gets the persons of interest, and I think it will. "There will be some nervous people out there." FEAR of reprisals has dogged the Mason case since the teen's body was first discovered. The 19991 inquest failed to identify those responsible, with then-Coroner Ross Woodford finding "no concrete evidence pointing to any one person having committed the murder". No suspect has never faced prosecution. A coroner is required to make written findings about the identity of the deceased, how they died and what caused it. Its powers rest in the ability to draw on witnesses to give evidence, under oath, which in certain cases can compel or sway the Director of Public Prosecutions to pursue charges. 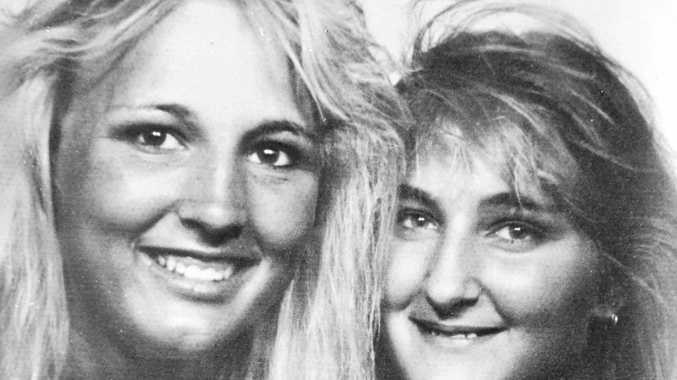 1990: A re-enactment of Annette's murder is televised on Australia's Most Wanted and draws 150 statements.